I know many of you like me, are big Disneyland fans. You probably have all heard by now (and just in case you haven’t )that Disneyland will be open for 24 hours straight, tomorrow February 29th, aka.. leap day! Back in the day when I was a kiddo, the company my father worked for would host family night at Disneyland from 10pm to 4am. Some of my most memorable memories were spent on those special nights at the park and I can’t wait to make some new memories at the park tomorrow. Disneyland will open their doors at 6am tomorrow, February 29th. Dance party featuring KIIS DJs at Tomorrowland Terrace from 8:30 p.m. – 4 a.m.
Second showing of Mickey’s Soundsational Parade at 10 p.m. Performances by Billy Hill & the Hillbillies at The Golden Horseshoe from 11:15 p.m. – 4:45 a.m.
Special showing of “Fantasmic!” at 1 a.m. I also just read that there are no blackout dates on annual passes. It’s going to be a busy day but i’m sure filled with plenty of fun! I hope I can see some of you there! It’s going to be blast! Are you going? This entry was posted in Uncategorized and tagged 24 hours at Disney, Disneyland February 29th, Disneyland leap year, One More Day at Disneyland. I hope you are all enjoying a cozy evening at home on this chilly and wet Monday. To start off the week, I wanted to share about our newest contributor Bridgette’s, inspiring post about running a half marathon. She shares all about her amazing experience and how we can do it too! I think most of us have a bucket list or a list of things we want to do or accomplish in our lifetime. Running a marathon was on my list. I have to admit, it wasn’t at the top or near the top of the list for that matter. 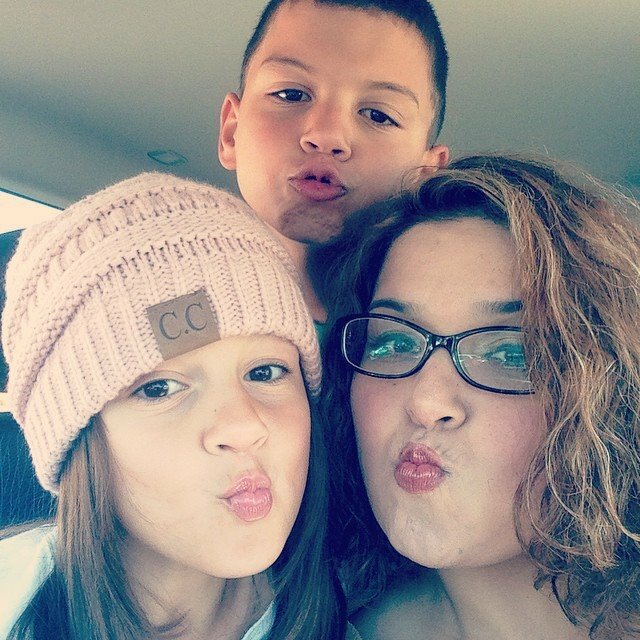 Being a full time mom keeps me busy, but in the back of my mind it was there. I was checking my email one day and I noticed a brochure for Team in Training, an organization that trains people to do marathons, triathlons, etc. Team in Training also helps raise money for the Leukemia and Lymphoma Society. I decided after looking into it that I was going to do it! Run a marathon-check and donate to charity?check- Sign me up! 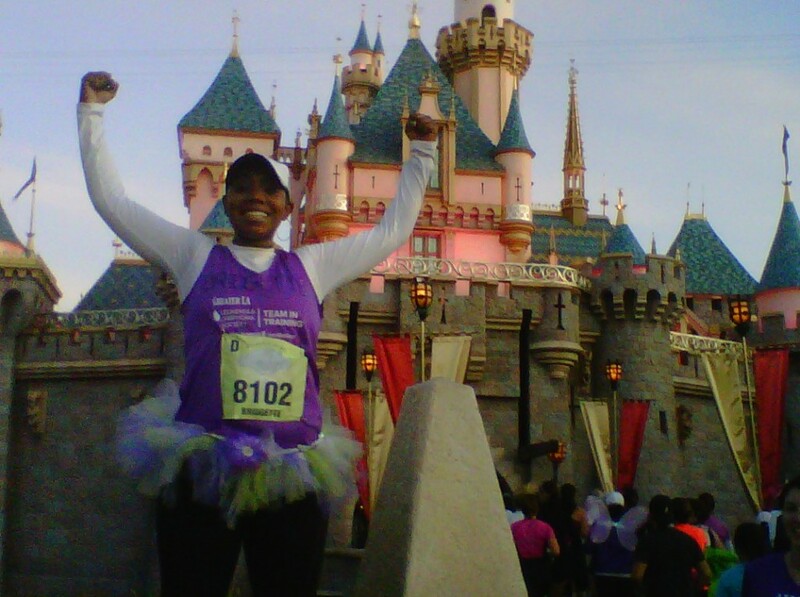 I started to look for races to run in and came across the inaugural Tinkerbell Half marathon at Disneyland. I mean there is no place on earth that would be more fun to run 13.1 miles! The race fell on my son’s 2nd birthday and we were heading there anyway. It made the decision pretty easy. Disney sponsors over a dozen running events at its various parks. They have kids fun runs and family friendly 5Ks. Fast forward 11 weeks after I decided to sign up and thanks to some amazing training from my coaches from Team in training, I was ready for race day. I woke up 3 am to meet my coach and teammates for a walk to the starting line. Over 12,000 runners were at that starting line that morning. I was nervous, but my body was ready. Did I mention that I had never run more that 2 miles at a time in my life before I started training? Before I knew it the race had begun and off I went to cross that finish line. Two hours and forty one minutes later, I crossed the finish line. I was exhausted but exhilarated! It was hard, but it was FUN! My hubby and kids were there waiting for me and watched me receive my Medal! There were bands and cheerleaders to encourage us along the way. Running thru Disneyland and seeing some of the rides behind the scenes was an amazing experience. It made my first half-marathon even more special! Maybe this will inspire some of you moms and dads to go out there and do it because you really can! If I can do it, so can you! To learn more about TeamTraining head here and to learn more about all of the Disney races head here. When Bridgette is not running, she spends her time with her husband and two young children exploring beautiful Southern California. Mark your calendar’s because one of Southern California’s best festivals is taking place on March 3 & 4 and March 10& 11. The majestic, California Gray Whale will begin their migration in late November, but from March 3 – 4 and 10 – 11 hundreds of these 35-ton leviathans will splash through Dana Point during the 41st annual Dana Point Festival of Whales. Festival highlights include an opening day parade, Whale of a Block Party, art exhibits, classic car exhibits, paddling events, sand sculpting, concerts on land and water, environmental activities, educational opportunities, interpretive crafts, kids activities, and of course, whale watching! The festival is free and super fun for the entire family. This entry was posted in Uncategorized and tagged Best place to watch whales, Dana Point, Dana Point Festival of Whales, Whale Watching.